Released on Friday 02.16.2018 ‘Black Panther’ sold out theaters all across America with friends and family calling one another advising to get tickets in advance online. Some even went to see the movie more than once over the weekend with loved ones waiting to catch a showing at different times. Being a massive fan of Marvel films more than the Comics–I’ve never been one into comic books–I was excited for the release of Black Panther and enjoyed being introduced to him on film during ‘Captain America: Civil War’. Black Panther picks up with T’Challa assuming the throne as King after King T’Chaka (his father) was killed. T’Challa is compassionate and cares about the people of Wakanda, but he doesn’t seem sure he can handle the responsibilities of being King. The one thing I didn’t like about the film is how Black Panther could defeat his enemies any other time (in a street fight), but when it came down to him being challenged for the throne, he isn’t portrayed as someone who is strong and mighty. The first challenger M’Baku of the Jabari Tribe almost defeated him, and he was left in a coma by his second challenger Erik who is his cousin seeking revenge for his father’s (T’Chella’s Uncle’s) death. While the movie was good, I didn’t expect for T’Chella’s character to be so weak when it came to being challenged and wanted to see more strength and power. It seemed as if everyone else, even the women, were stronger than him. The best dialog of the film was between T’Chella and his sister Shuri. It was refreshing to see family watching out for each other and sticking close together while also bringing that brother and sister trash talk. While it’s a beautiful place, the movie did a great job showing how much work there is to upkeep and protect what is powerful, in demand and before its time. There were a lot of politics going on behind the scenes and will continue in the matter of what to do with resources Wakanda has and who to allow in the fold. That is quite a job and challenge. 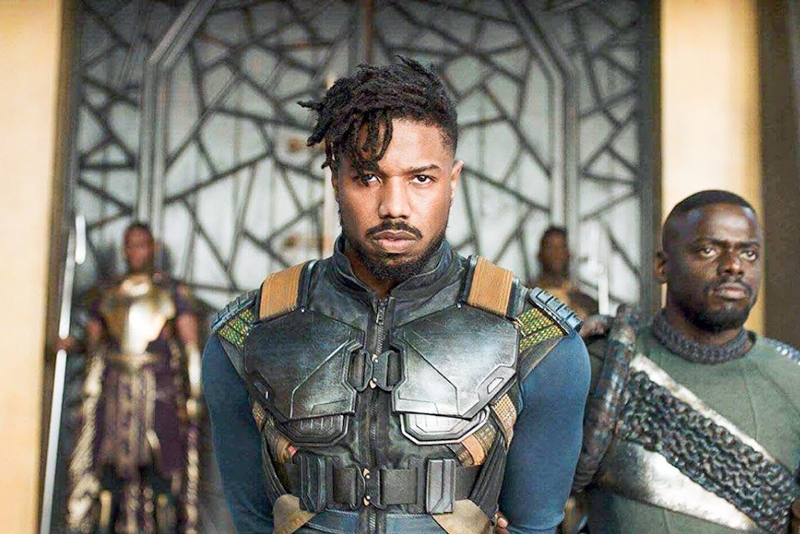 The movie leaves off with King T’Chella addressing the nation and telling the world the Wakanda, and its resources are at the world’s disposal. But with power comes great responsibilities and enemies who want what you have. T’Challa’s cousin Erik became the main enemy of the film. He is the second one to challenge the Black Panther for the throne. Erik was seeking revenge after T’Chella’s father King T’Chaka killed his brother N’Jobu, Erik’s father. N’Jobu was killed when Erik was a young boy. He was the one who found his father lying dead in his home with Panther claws in his chest. N’Jobu had already taught Erik about his heritage and hoped that Erik would one day experience Wakanda himself, but N’Jobu was also known as a traitor to his people. My issue overall with the enemies was that Erik was running with Klaue who was a known enemy of the King and Wakanda for 30 years but we never see the fullness of their relationship and how it came about. Also, why is N’Jobu assisting Klaue with stealing the vibranium from Wakanda? If he wanted to help others by giving resources from Wakanda, Klaue hardly seemed like the one to do that through. I felt that it wasn’t well explained in the film and to see the longtime enemy (Klaue) killed by Erik so quickly was a disappointment. I felt the enemy plot should have been a little bigger. Overall it was a good film in the full scope of things. If you’re looking for action, love, family, girl power and a thrill, this is one you can enjoy.